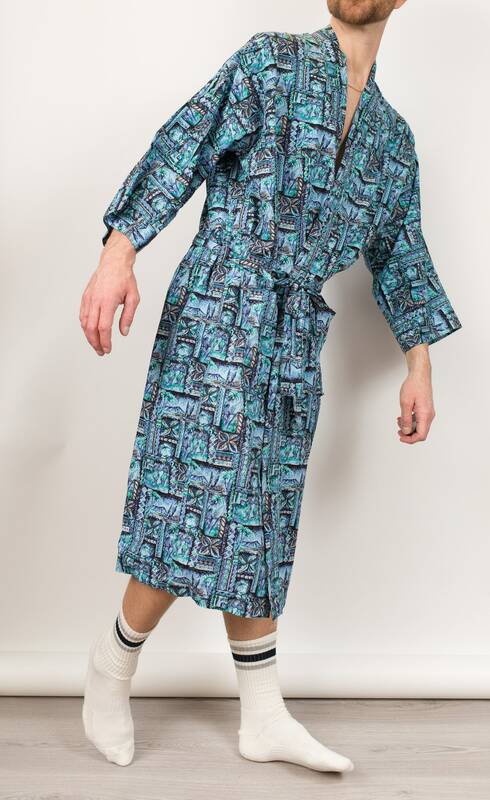 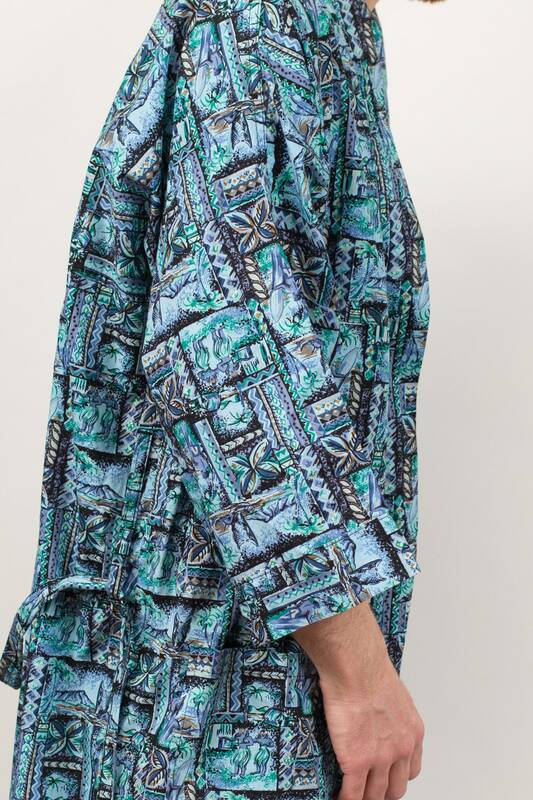 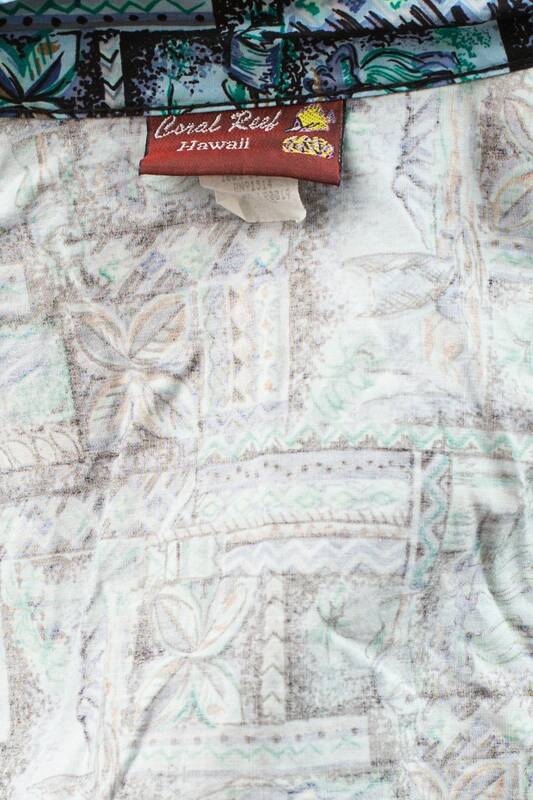 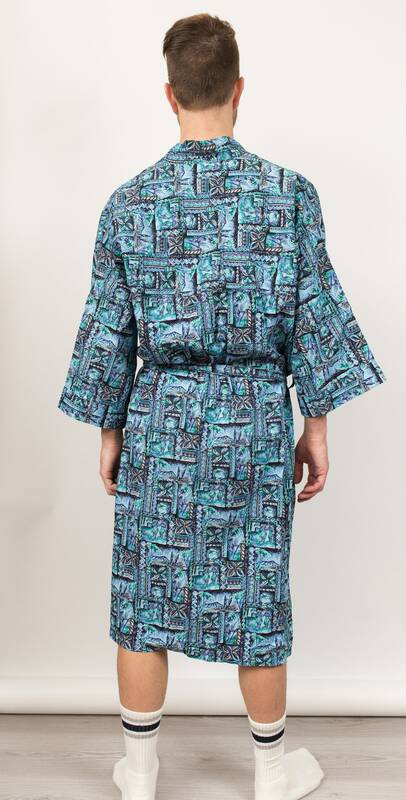 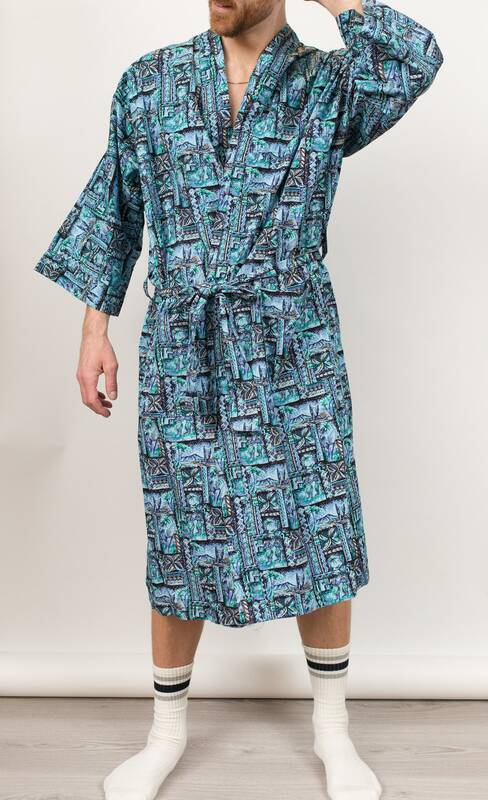 This is a classic vintage Hawaiian unisex lounge robe with a blue and green tropical pattern. 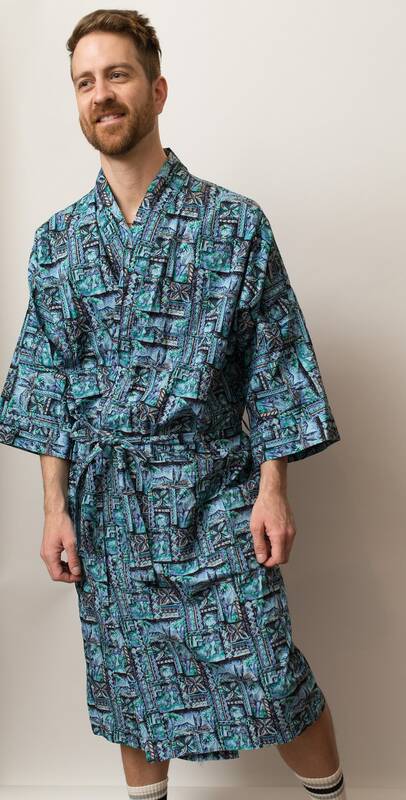 Size: one size (model wears medium, is 5'11, 160lbs). 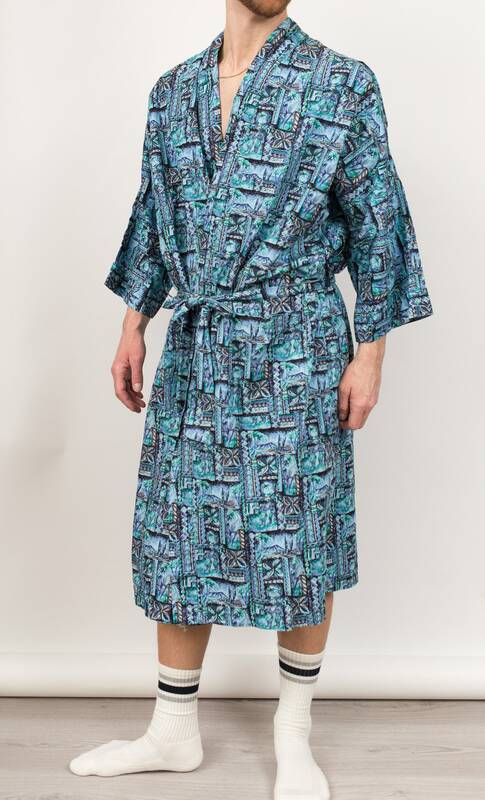 Length from shoulder to bottom of garment: 44"